Presentation of the last draft on "Learning and Education as Capacity for Food Security"
Seminar "Working together to fight hunger and poverty"
Congress on "Alternation education for rural development"
Knowledge exchange for capacity development between a university in the north and partners in rural East Africa. Meeting of International Working Group on Education (IWGE) "Financing of Education"
On 8 April, the Education for Rural People team intervened in the seminar “For a biodiversity culture” (“Per una cultura della biodiversitá”) focusing especially on FAO work on Education for Rural people, and its relation with biodiversity and food security. Furthermore, the ERP team presented a powerpoint with some examples of education and training materials on agriculture biodiversity. In this context, three publications (“Tous ensemble pour l’avenir du Sahel”, “Savannah Lifestyle” and “Biotechnology Tools for Conservation and Use of Plants”) of the ERP Toolkit have been also presented. In the framework of the International Year of Biodiversity 2010 and the UN Decade of Education for Sustainable Development, the event was organized by the Italian National Commission for UNESCO in collaboration with FAO/ ERP, Federparchi, Ispra, Legambiente and WWF. 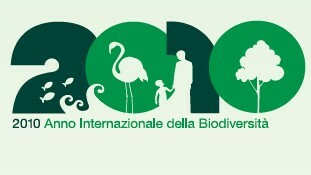 Declarazione "Per una cultura della biodiversità"